Please allow up to 10-14 days for international delivery. 2-pin European and the US models are also available. to give you an extra boost of Schumann resonance in your local environment at home or workplace. 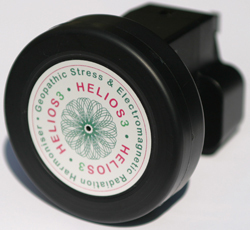 Order Helios3 online with Secure Credit Card Payment PayPal. Click on the Buy Now button below and follow the procedure.